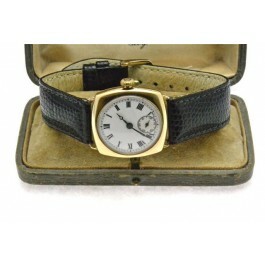 Antique 9 carat gold watch, Birmingham hallmarked, dated 1931. 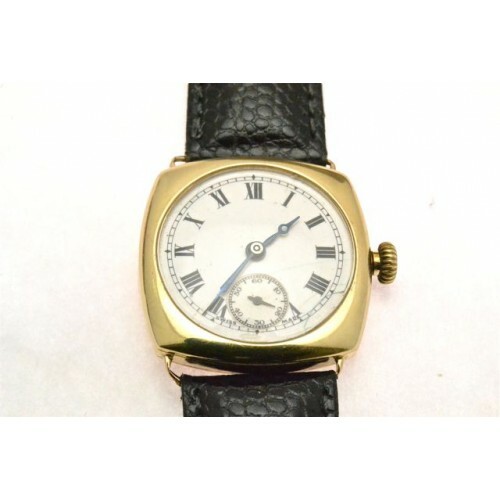 The dial has black roman numerals and a seconds face, the gold bezel is square in shape. 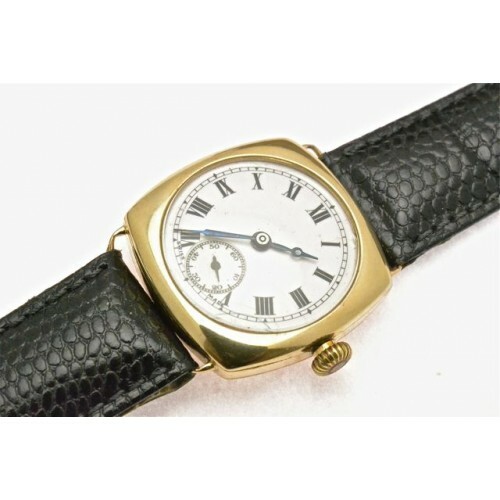 The black leather wrist strap compliments the face of the watch.